Records indicate that by 1886, when Cora Robinson was chosen as a teacher, Wichita County operated at least one school for African American students in the Wichita Falls area, Other early teachers included A. L. Hedrick and M. E. Hunter, and students attended classes at different times in facilities on Mill, Park and Sullivan Streets. Walter Downing and C. C. Trimble served as principals for many years, but it was during the principalship of H. D. Robinson that a three-story brick school building was constructed at this site. in 1921, former Wichita Falls mayor Jim Marlow sold eight acres in this section of town to create a new African American business and social center. 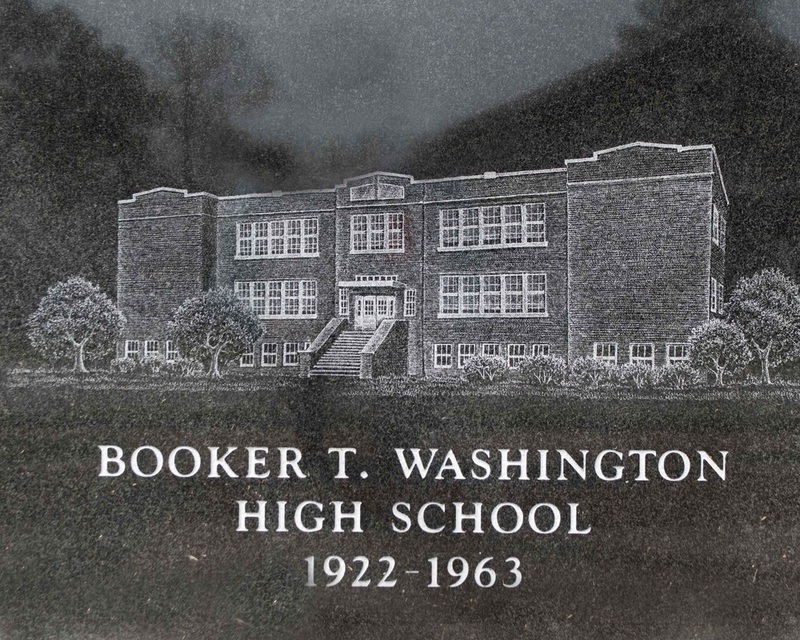 The community chose this site for the Booker T. Washington school, named for the noted educator and author. The school became neighborhood focal point, and businesses developed around it that further placed it at the center of Wichita Falls' African American community. In 1922, A. E. Holland became the school's principal. Her served until 1946, and under his leadership the school became a class A accredited campus, and additional facilities, including a cafeteria and lighted football field, were constructed. The acclaimed C. E. Jackson served as principal from 1946 to 1963, during which time the district added a gym and an adjacent elementary school, also named for Washington. ​ GPS coordinates: 33-degrees, 54' 55.0" N -98-degrees, 28' 39.8" W.